If you have never had vinegar pie, you are missing out. I am sure there are a lot of people that would not touch it because it has vinegar in it. Some people think Vinegar Pie and Chess Pie are the same thing but chess pie differs from this pie because chess pie has cornmeal in it and this one does not. 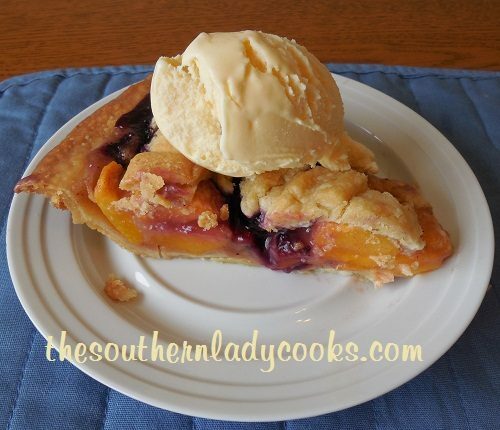 This recipe is so easy and the pie is so good. My family loves this pie. Just add a little whipped cream or ice cream and you will have a real treat. Vinegar pie will surprise you at how good it tastes. Combine all ingredients and mix well with mixer. Pour into uncooked pie shell and bake in preheated 425 degree oven for 25 minutes. Let cool before cutting. Enjoy! Note: This pie will look like it is not done after 25 minutes. It puffs up during cooking and will kind of fall once you take it from the oven. If you like this recipe, you might also like my recipe for Buttermilk Pie. Just a reminder to look on the right hand side of this page and type in your e-mail address so you don’t miss notification of new tips and recipes when they come out! You will be notified first of anything new on our site. Your e-mail will not be shared with anyone. We have over 27,000 e-mail subscribers and they are always the first to know about any new posts. You may “share” by clicking on the Facebook, Twitter or Pinterest buttons below. Print by clicking on the green printer icon below. Sorry, I have not tried this recipe with Splenda, Peggy. You can try it and see. I think it might work but like I said I have not tried it. Maybe, someone else will see this and advise you. I just ran across this 5 years later, after your post! My mother also made her vinegar pies as a cobbler! Followed the recipe exactly and cooked it for 5 min longer being at 6000ft. It didn’t set, top was dark brown almost burnt. I put it back in the oven at 350 for another 15 minutes with foil over the top. Crossing my fingers! Why cookit in a glass pan! Use Already frozen pie shells. Kathryn, you are welcome to use whatever type of pie shell you would like. I have never heard of putting cinnamon.in this or salt. I personally think it would alter the taste too much. I am going to make vinegar pie for my grandkids , they always say everything grandma makes is good . This should be fun, if I can get them past the name . How long would you have to bake it in a glass pan when doing a triple batch? Since I don’t have any actually pie tins & I have to make a large amount to feed so many mouths I was wondering if the baking time would have to be adjusted. I have never tripled the recipe but I would say maybe 10 minutes longer. Just keep an eye on it that it doesn’t burn and take out when you can stick a fork in it and it comes out clean. My wife has made this pie twice. The first time it was perfect but one piece had a slight vinegar taste. The pie looked like the picture. I asked her to use less vinegar the next pie. The second time, the filling did not set up. It was like creme brûlée. She only used one tablespoon of vinegar and substituted cinnamon because she did not have the nutmeg. Any idea what went wrong the second time? Hello Wally, I have no advice other than to make the recipe the way it’s written. I have only made the recipe the way it’s stated on the website. Sounds like it worked well by following the actual recipe. I have made this pie several times with great success. But, my last one I made in a disposable pie tin. I took it to my sisters and it was very runny, it had not set. The best I can figure is that I used a pan under the tin because it was so flimsy. That may have caused it not to set. This is delicious and do easy! Thanks for posting it! I grew up eating this pie. My mother’s family were sharecroppers in the 1930-40s and it was a cheap treat in their family. So, when I was a kid, my Mom and Dad worked for the same company but on different shifts so one or the other was always home with us and my dad did as much of the cooking as my mom did. Once Daddy decided to make the pie but he put more than the usual amount of vinegar in it. No matter – even though we all sat at the table sweating (from vinegar overload) – we still ate it! Love this story, Brenda! Thank you for sharing. Have a great weekend. You can try doing that Jackie. This pie recipe kind of forms a crust on top. Made vinegar pie for the first time yesterday, just for fun. Never tried it before or heard of it. I’m not a Southerner, although, technically, Maryland is a southern state:) Served the pie with whipped cream! Delicious. My two teens loved it too. I am so glad you enjoyed the pie! Thank you for letting me know. Have a great week! Jonathan W: I’m from MD also. Please review your history. MD is actually a Northern State but had a ton of Southern Sympathizers back in the day. Depending on where you live in MD will sometimes made the difference of whether or not you enjoyed Southern-style cooking. 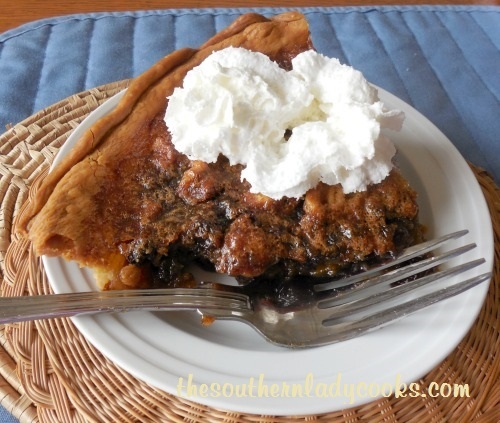 Being from ”Southern MD,” I was fortunate enough to have a wholotta cooking prominent in the South, including Vinegar Pie! Just made these so simple and tastes divine!!!!!!!!! I love lemon merinqune pies and this tastes like a richer version. Another one I’ll be making again and again. Thank you! sounds like you did not cook it long enough Dottie. Thank you Dali. Happy you liked the bread. Thank you for letting me know and have a good weekend. I made the7 layer bars and the banana bread.Both were delicious. There is a recipe under pies for buttermilk pie. It is not the same thing. Thank you so much Laila. This pie is so good and I know you will love it. Happy you enjoy the recipes and happy to have you on my site. Have a great weekend. I was just watching an old movie and they gave the recipe for Vinegar Pie so I just had to look it up. They add 1c seedless raisins and only use 1T of vinegar. I’m gonna make it tonight. Have you tried the truvia/stevia sweetner? You can buy it in a bag now. I find that it works very well, or even try half sugar, half stevia. Thanks for the reply! Will be trying it with Stevia! I grew some stevia plant this year! It was awesome to muddle it with my tea! I have to make this, if for no other reason than to see the look on my son-in-law’s face when I tell him he is eating vinegar pie! Yes, I can be mean that way. What fun! We also call it Transparent Pie. . .My mom was the best at making these pies. She also made them in tarts. Does it taste like lemon pie? I am going to try it and I’ll bet it’s delicious! My Grandma used to make vinegar pie. It’s so good! Would love to have chocolate chess pie recipe. I love the one from golden corral. Would like to make one. Look on the right hand side of any page on this website about halfway down. You will see photos labeled, Appetizers and Dips, Breads, Meats, Casseroles, Cobblers and Pies. 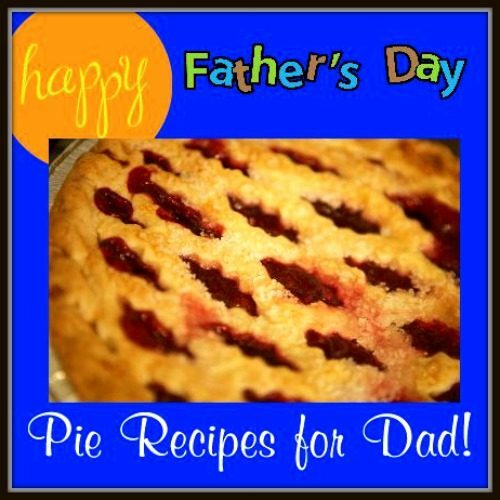 Click on the photo labeled Cobblers and Pies and there is a recipe for Chocolate Chess Pie listed there along with all the pies on the site. How could I make this as diabetic friendly as possible, I wonder? What sugar substitute would I use and how much? I made this pie last night and, even though I admittedly got the top a little dark, it was wonderful. It had a nice custard taste to it, but it was nothing like my grandmother’s chess pie. The pie itself was a smooth consistency and wasn’t too dense. I also loved the fact that it took all of 5 minutes to combine the ingredients. This one is definitely a keeper! There is a difference in Chess Pie and Vinegar Pie. So happy you enjoyed this recipe, Jessie. I also added the coconut as it is fantastic! Thank you! Sounds close to the “Clarkston Pie” I have eaten all my life. This pie has rasins in it. I have never heard of this pie. It looks good but does it have a vinegar taste? My Mom used to make what she called vinegar pie but it was more like a cobbler. I loved it. Before we were married, my husband was at my house and just enjoying this pie (thinking it was a lemon pie). When he found out what it was he stopped eating and wouldn’t eat another bite. He was ok when he thought it was lemon. My mom also used to make vinegar pie like a cobbler and she would use a touch of red food color so that the filling was a pink color. I loved that pie! She never wrote the recipe down…..kept it in her head…..now it is lost to Alzheimers. I have never heard anyone else speak of vinegar pie made in this way. I am so happpy to see your post! What kind of sugar substitute did you use? Sounds like one of my Granny’s Sunday dinners. All of us around the table. Never did get the recipes before she passed. Thank you. Wow I’ve never heard of this before. I wonder where it originates from? So fascinating discovering new flavour combinations. This is one great pie ! looks tasty! the name is a bit off putting but I would definitely try it! oh my my my…this looks and sounds terrific…being KY girl myself I think this looks like everybodies Grannies secret treat! A definate keeper and a definate share! 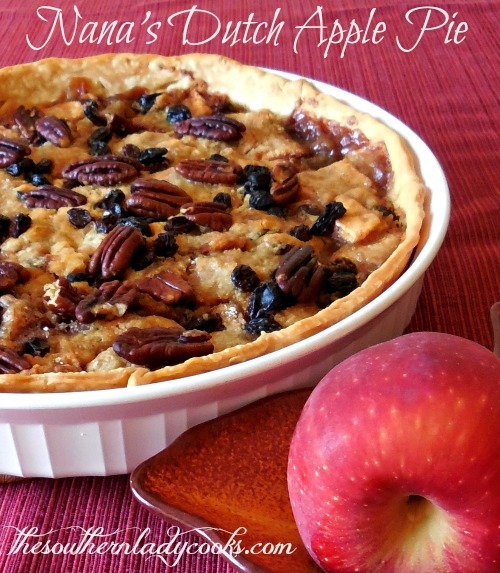 Thanks for posting and making my mouth water….you know I will have to bake this and soon! I’ve been following your blog for all of 5 minutes and I can already tell I’m going to like it. My mother in law made a vinegar cobbler but feel sure it had more vinegar than your pie. Never at any of her cobbler but it was one of her sons favorites. Your pie sounds good.